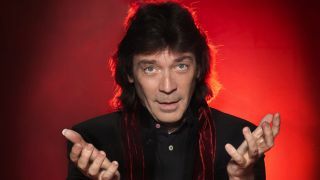 Steve Hackett has confirmed the release of his Premonitions 14-disc box set on October 16 via Universal/Virgin. Steven Wilson revealed the project’s existence in May. Now details of the pack, which focuses on Hackett’s first six albums with the Charisma label, are official. The Super-deluxe set includes 10 CDs and four DVDs, and 67 previously-unreleased tracks among the total of 135 songs. Hacket will showcase some of the lesser-known material in the set on his upcoming tour. His Charisma albums Please Don’t Touch and Spectral Mornings are to be re-released separately, along with Wilson remixes, next year.